Join us at Yerba Buena Center for the Arts for two days with the world’s foremost HTML5 game developers and learn how to bring your gaming vision to the web now. Blast Your Way in to HTML5 Games! Game-changing Keynotes from Two Gaming Masterminds: Share the New Game Fever! HTML5 GAMES are here and they’re huge, engaging players of all stripes across the globe. NEW GAME is the only HTML5 game conference in North America, and we’ve stacked it with the best developers in the world. Come learn from Google, EA, Opera, Mozilla, and loads of others innovating at warp speed every day in the web gaming space. THE WORLD’S BEST will cover every level of HTML5 game development in their talks -- from framework performance and security to user interaction and monetization. Meet and learn from engineers building HTML5 games and platforms today. Our lineup includes industry luminaries like Rich Hilleman from EA, WebGL engineers like Ken Russell from Google, browser vendors like Alan Kligman from Mozilla, game developers like Grant Skinner from Pirates Love Daisies, and game platform creators like Richard Anaya from GameSalad. Ben works at Google on the Picnik photo editor and spends his 20% time playing with various aspects of WebGL, including authoring the open source WebGL Inspector debugging tool. 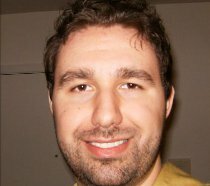 He has several years’ experience working on low-level OpenGL and DirectX code on consoles, desktops, and mobile platforms and is passionate about computer graphics and the developer experience around it. WebGL support in browsers opens the door to immersive 3D content, especially games, which is delivered with no end user installation, runs on multiple platforms and requires no porting effort. Ken Russell is a software engineer at Google, Inc. on the Chrome GPU team, which is focusing on better utilizing the GPU for the display of all kinds of web content. 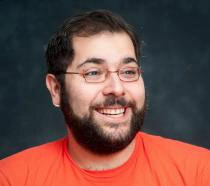 He is currently serving as the chair of the WebGL working group at Khronos. Prior to joining Google, Ken worked at Sun Microsystems, Inc. for over ten years, initiating the Java Binding to the OpenGL API project, and making contributions to many areas of the Java platform. 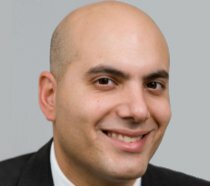 He holds a Bachelor of Science in Electrical Engineering and Computer Science from the Massachusetts Institute of Technology and a Master of Science in Media Arts and Sciences from the MIT Media Lab. Debugging and tuning WebGL applications for highest performance can be challenging, in particular due to the low-level nature of the WebGL and OpenGL APIs. This session will introduce the WebGL Inspector and explore several complex real-world applications to show how they achieved their results and how the tool can be used to learn more about an application through a way most never see. 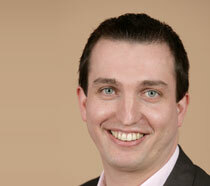 Justin is the COO of Moblyng, a Silicon Valley company, focused on mobile html5 games. He has spent 15 years in the game industry, including leading the game engineering teams for Electronic Arts’ game Spore and building the massively multiplayer games Dungeons and Dragons Online, Lord of the Rings Online, and Asheron’s Call at Turbine. He holds a B. S. in Computer Science from Brown University. He also likes airships. Moblyng has been developing HTML5 games for the past 3 years. This talk is an overview of the lessons learned from that experience covering multiple code frameworks, business partners, and revenue models. Robbert van Os is a fifteen year Information Technology (IT) veteran with roots in business and technology strategies, from entrepreneurial start-up projects to large scale corporate technology initiatives. The open web / HTML5 is the most recent development he initiated at Spil Games, about 12 months ago! This talk will discuss markets in China, Japan, and South Korea. Spil Games is the first company to launch HTML5 mobile games in China and Japan, and we have extensive experience with daily operations and customer feedback. We'll discuss how HTML5 games make money in Asia -- and yes, they do make money! We focus on mobile, and we'll cover lessons learned from HTML5 mobile games. Chen Qi has been addicted to the Internet for over 14 years. His personal website was selected to be one of the Top 10 Chinese personal websites by LIFE magazine in 2000 . 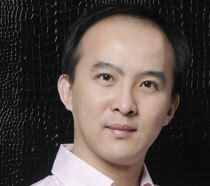 He currently works as CEO of Spil Games Asia and enthusiastic advocates for HTML5 games in Asia. As a big believer in HTML5 games, he initiated an HTML5 research group in China and co-organized over 20 HTML5 lectures across the country. Chen was an entrepreneur and founded a social network for teenagers in 2006. 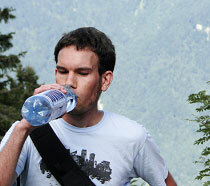 Besides that, he spent 3 years working in an NGO, devoted to protecting nature in the Tibetan area. Erik started his professional career as a programmer in the games industry back in -96 working for a Swedish game studio on an RTS. Since then he's been working at a number of game studios in Sweden and Australia. In early 2005 he headed up Auran Games Sweden, a subsidiary of the then largest game developer in Australia. 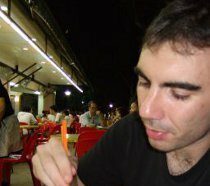 After a short break making a plunge into full time indie game development with TimeTrap he joined Opera software where he's now working in the core graphics department, eagerly advocating html5 game development. Emberwind is a platform game published on Win/Mac/iOS. This talk is the story of how Erik Möller took its 100,000 line C++ code-base and turned it into an HTML5 game running on desktop, mobile and even TVs! 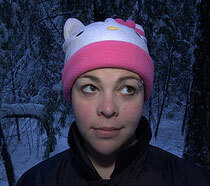 Lilli joined Google in 2008 as a software engineer and became a full time Game Developer Advocate in early 2011. Before joining Google, she worked as a game programmer on a number of XBox, PlayStation, and PC titles, as well as being a part of the team that initially developed the COLLADA file format. Lilli holds a BS from Caltech in Engineering and Applied Science, and in her spare time she enjoys working on video editing and digital art projects. PlayN is a game library that allows developers to write and debug in Java, and simultaneously target HTML5, Android, and Flash. Learn to use the framework to create new games or to port existing game code and libraries. PlayN not only provides code sharing across platforms, but provides a framework for integrating with In App Payments, publishing the the Chrome Web Store, and adding Google+ +1 buttons. Grant has 10+ years of Flash and web dev. 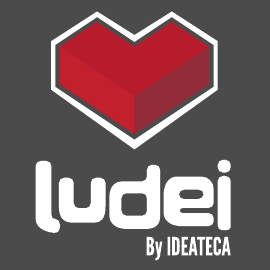 He's developed myriad open source libraries, commercial apps, games, frameworks, etc. 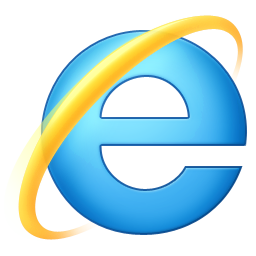 for a huge variety of Fortune 500s. 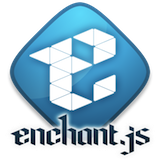 Grant is Developer/Architect of EaselJS, TweenJS, and SoundJS. 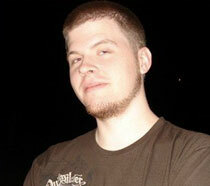 He's also the developer of Pirates Love Daisies and other presently unreleased HTML5 games / apps. 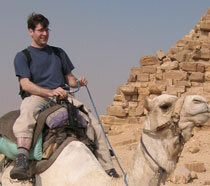 Sean Middleditch has been involved in the Web industry for over a decade. He’s worked on several high-profile government websites and apps, large eCommerce services, and a variety of Open Source Web frameworks and applications. He’s currently enrolled as a Junior at the DigiPen Institute of Technology studying RTIS, a CS degree in computer game engineering. His last DigiPen game project, Subsonic -- the inspiration for SONAR -- was an IGC 2011 Finalist in the non-professional category. SONAR is one of the first complete HTML5 games implemented with WebGL, targeting the Chrome platform via the Chrome Web Store. The first part of this talk covers the technical details of our development environment, including our engine architecture and asset pipeline, as well as the problems we ran into with the HTML5/WebGL platform and the workarounds we deployed. The second part is a classical post-mortem. Miguel Angel Pastor Manuel is CTO of Onan Games (makers of Mandreel). 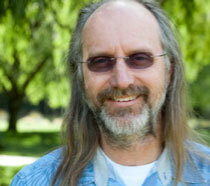 He has previously worked in the video game industry at Sony and LucasArts as Senior Technology Engineer. Onan has been working together with Google to bring several iOS titles into the Chrome Web Store. The first games they ported were Monster Dash and Gun Bros and right now they are porting several more titles. 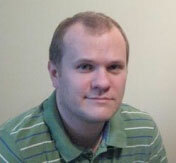 Jason Meisel is enrolled as a Junior at the DigiPen Institute of Technology studying RTIS. 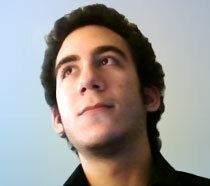 He’s worked as an engine developer and graphics programmer on two other successful DigiPen games: The Y-Front and Nous. Alan is a systems programmer by day. 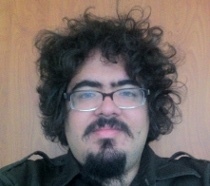 In his spare time he hacks away on experimental game engines and indie game projects. 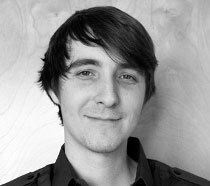 He is passionate about developing 3d gaming on the web and making it fun and accessible for the game development community. 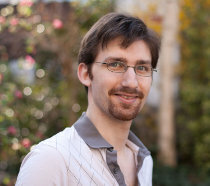 Alan is one of the main hackers behind Mozilla's Paladin project, aimed at improving open source gaming technology for the web. Rachel joined Google as a software engineer in spring 2011 to work on Chrome. 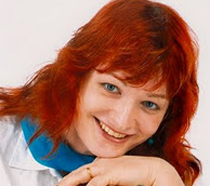 Before that, she spent 15 years in the games industry - from tiny advertising games over arcade games to hugely successful console titles and massively multiplayer games. In her spare time, she loves working on all things digital. There are lots of cool things in HTML5. Even better, there are lots of cool things being _added_ to HTML5 and Chrome all the time, quite a few with a focus on games. This talk is going to showcase some very recent and still-in-progress features, including a long look at WebAudio. 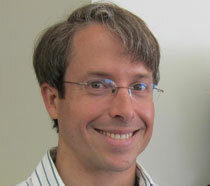 Sam Abadir is a practicing IP lawyer and software engineer. Prior to co-founding appMobi, he worked for Concurrent, a leading company in the Video On Demand (VOD) market, as a legal and technical consultant. Sam is a seasoned entrepreneur, having founded two other companies, LiquidSite and Zelo Technologies, which developed super-scalable file systems for video and rich media. Sam is a graduate of MIT with a BS in Math, and from the MIT Sloan School with a BS in Operations Management. Sam also received a JD with distinction from the University of Iowa School of Law. This short-form talk will discuss how to use hardware accelerated DirectCanvas to take games from 2 frames per second to 30. This will show you how to use DirectCanvas while running on mobile and deploy the same code to desktop browsers using the standard HTML5 Canvas. New Game features two keynotes and twelve talks over the course of 2 days in a single-track format. We provide breakfast and lunch, and there will be an official conference party on the evening of the first day. Techniques that will be covered include batching of geometry, using texture atlases, pipelining data, reducing the amount of data transferred to the GPU, offloading computation to the GPU, and using web workers to parallelize applications. Workarounds and gotchas will be described for the differences between WebGL and other common implementations (such as OpenGL ES on iOS) and limitations imposed for security reasons. There are lots of cool things in HTML5. Even better, there are lots of cool things being _added_ to HTML5 and Chrome all the time, quite a few with a focus on games. This talk is going to showcase some very recent and still-in-progress features, including a long look at the Web Audio API. Open bar from 6:00pm - 7:00pm, but feel free to come earlier and stay later! New Game will be held at the Yerba Buena Center for the Arts, located in bustling downtown San Francisco. New Game is dedicated to a harassment-free conference experience for everyone. Our anti-harassment policy can be found here.